October 9 is Max von Laue’s birthday. 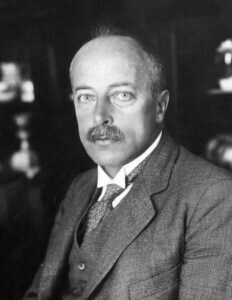 Laue was the German physicist who started the field of x-ray crystallography. Laue investigated the properties of x-rays. X-rays were discovered in 1895 by Wilhelm Conrad Roentgen. They appeared to emanate from a cathode ray tube and interacted with a phosphorescent screen, causing it to glow. Roentgen used these rays to photograph his wife’s hand. The actual nature of x-rays was in question. Laue worked on the assumption they were waves of electromagnetic energy. If x-rays were waves, they should have the properties of waves. He attempted to show they could be diffracted like waves. Diffraction occurs when a wavefront strikes an obstacle. The wavefront bends around the obstacle and spreads out from that point. If the wave encounters several obstacles, the spreading waves interfere with each other and produces a pattern of high and low intensity. By studying these patterns, the nature of the obstacles can be determined such as the size of individual obstacles or the distance between them. Typically, the smaller the gap between the obstacles, higher frequency of waves are required to create the patterns. Laue found when the gap is the distance between atoms in a molecule, x-rays will form interference patterns. He also discovered if he fired x-rays at solid crystals, he could determine the crystalline structure by the way the x-rays formed the pattern. This was the beginning of an entire field called x-ray crystallography. Simple cubic crystals comprised of one or two different atoms, such as sodium chloride salt crystals, were relatively simple to discover the structure of. Today, with modern computing, x-rays can help determine the structure of crystallized three-dimensional biological macromolecules involving thousands of individual atoms. The discovery of the nature of x-rays and x-ray crystallography would earn Laue the 1914 Nobel Prize in Physics. 1987 – William Parry Murphy died. 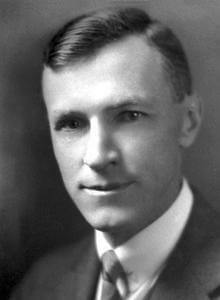 Murphy was an American physician who shares the 1934 Noble Prize in Medicine with George Minot and George Whipple for their work on the treatment of anemia. Whipple showed that anemic dogs who were fed liver improved their condition, actually reversing the condition. Minot and Murphy used this research to successful treat pernicious anemia. 1967 – Cyril Norman Hinshelwood died. 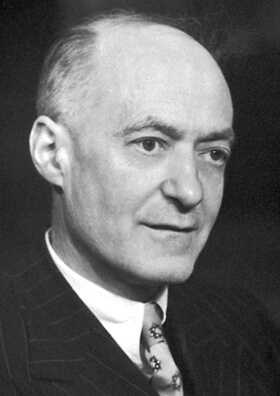 Hinshelwood was a British chemist who was awarded the 1956 Nobel Prize with Nikolay Nikolaevich Semenov for their work on the mechanisms of chemical reactions. Hinshelwood investigated the rates and mechanism of chain reactions such as the combustion of hydrogen and oxygen to form water. His later work was on the chemical changes that occur on bacterial cell walls that were important to future antibiotic research. 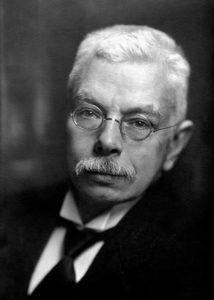 1943 – Pieter Zeeman died. Zeeman was a Dutch physicist who shares the 1902 Nobel Prize with Hendrik Lorentz for the discovery of the Zeeman effect. The Zeeman effect is the splitting of spectral lines when a magnetic field is applied and demonstrates the angular momentum quantum number. Before the electron was discovered, no one really knew what caused an element’s distinct spectra. When Zeeman applied a magnetic field across his samples, he discovered several of the spectral lines split into smaller bands. Lorentz used this information to deduce the existence of an extremely light negatively charged particle within the atom responsible for the light forming the element’s spectra. 1933 – Peter Mansfield was born. Mansfield was a British physicist who shares the 2003 Nobel Prize in Medicine with Paul C. Lauterbur for their discoveries in magnetic resonance imaging (MRI). He showed how the radio signals from MRI could be analyzed mathematically to produce a useful image. MRI expands on the technology of nuclear magnetic resonance to produce detailed and high contrast images of the internal workings of the body. They typically give much better results than x-rays or CT scans. 1879 – Max Von Laue was born. 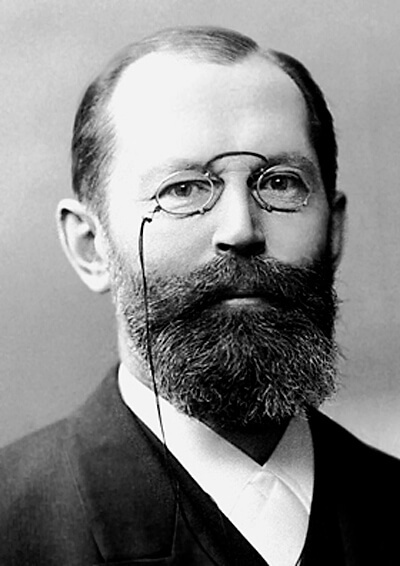 1852 – Hermann Emil Fischer was born. Fischer was a German chemist who was awarded the 1902 Nobel Prize in Chemistry for his research into sugar and purine synthesis. Purine is the name for a family of organic compounds that are composed of a two ring structure of nitrogen and carbon atoms. Fisher coined the term purine and synthesized several purines such as adenine, xanthine, and caffeine. Fischer synthesized the sugars glucose, fructose and mannose for the first time. He also discovered the cyclic amino acids proline and oxyproline and identified the peptide bond that holds together amino acid chains.